Mike McGuff is a native Houstonian who has been blogging since 2005. He balances his time covering the Houston and Texas radio, television and newspaper media scene plus other interesting news concerning the Bayou City. Outside of blogging, Mike has worked as a journalist for more than 20 years. He has reported live for ITV's Good Morning Britain and had his reporting work appear on CNN International. His written reporting work has also appeared on the Chicago Tribune and Hartford Courant websites. 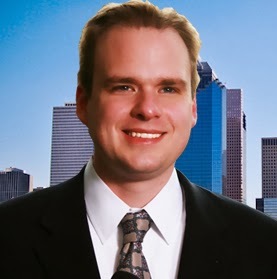 In Houston, Mike has worked as a reporter, producer and digital journalist for various television stations. Dubbed the "Father of Houston TV social media" on his own blog, Mike created the first Houston TV Twitter and Facebook accounts in Houston while at KTRK abc13 in 2008. He later consulted KPRC 2 on Facebook in 2010. Currently Mike is producing a documentary on the former Rock 101 KLOL and its continuing legacy. He is also the Alzheimer's Association Ambassador for Texas' 7th Congressional District working to pass legislation that can help fight this terrible disease. - “First We Feed Them™” Artsy Pet Food Bowl and Art Auction and Happy Hour Party benefiting Rescue Bank® Houston.